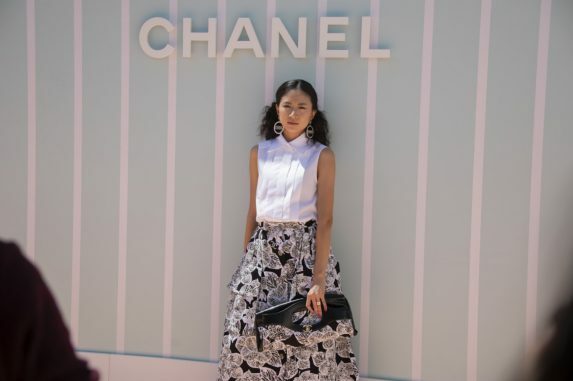 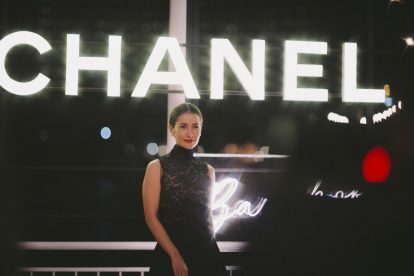 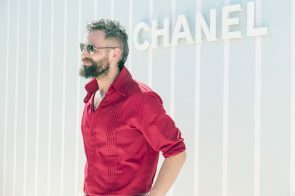 Chanel is travelling the world showing its cruise 2018–19 collection, with its second appearance in Bangkok (after Paris). 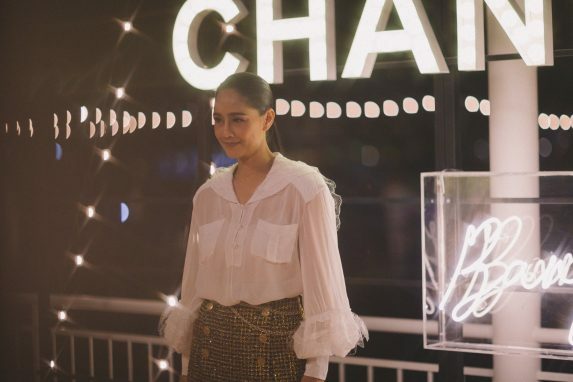 Guests were invited to the Mandarin Oriental Hotel before embarking on traditional Thai boats to travel down the Chao Phraya River. 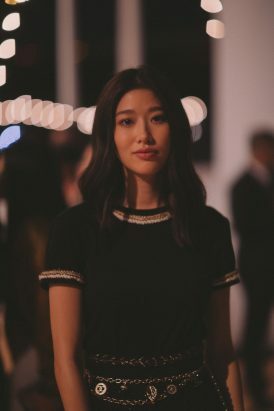 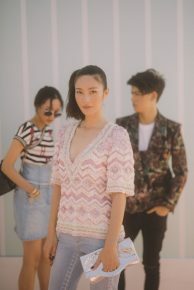 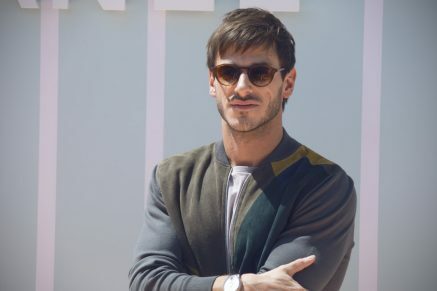 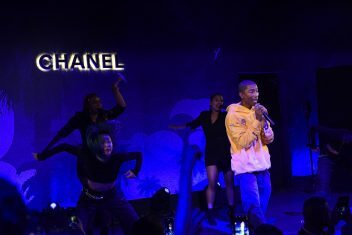 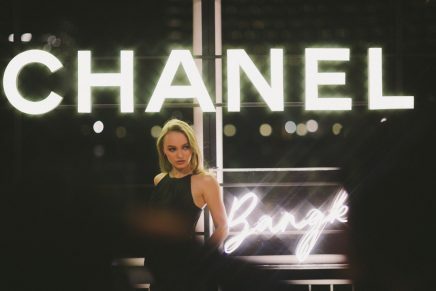 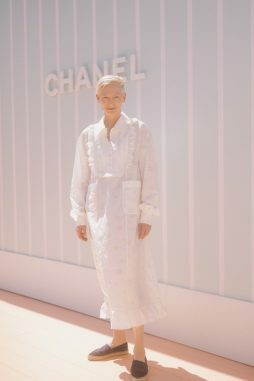 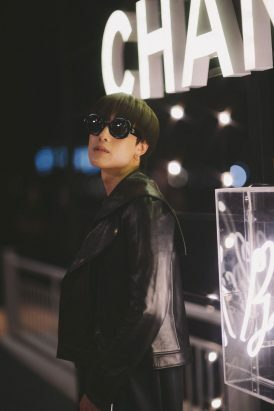 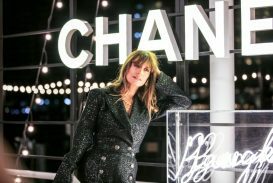 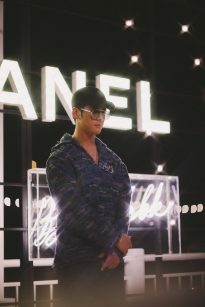 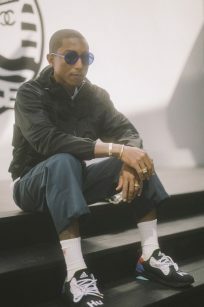 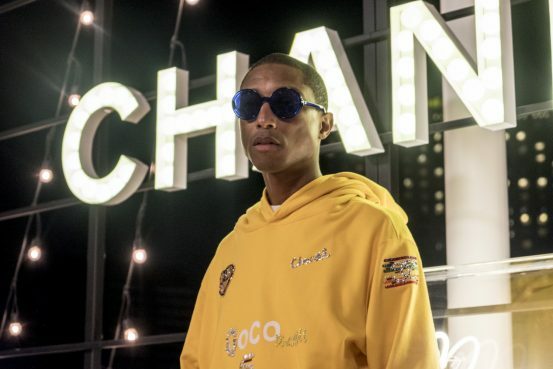 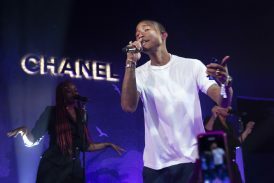 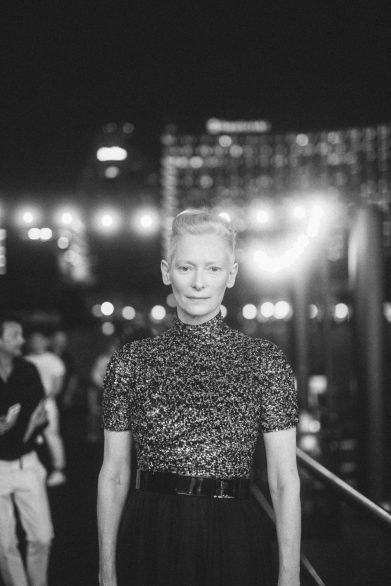 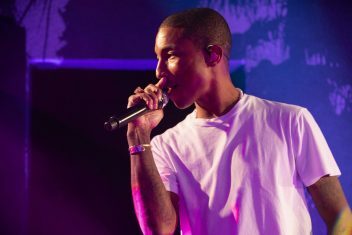 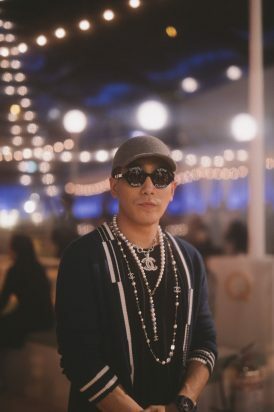 Celebrities included Chanel ambassadors Lily-Rose Depp, Tilda Swinton, Caroline de Maigret, Soo Joo Park, Pharrell Williams and Gaspard Ulliel, Hong Kong actress Angela Yuen (袁澧林), and Taiwanese singer 9M88. 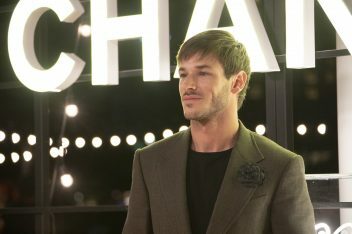 Arriving at the venue for the catwalk show at the disused Sermsuk warehouse, dressed as the ‘Pier No. 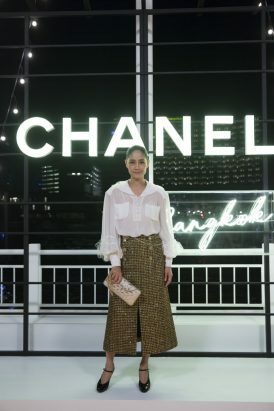 5’ were actors Aokbab, Linn Mashannoad, Mew Nittha Jirayungyurn, Chompoo Araya A. Hargate, Nok Sinjai Plengpanich, Nychaa Nuttanicha Dungwattanawanich, James Teeradon Supapunpinyo, Ann Thongprasom, Pao Varit Leesavan Hongsananda, Ice Paris, Pat Chayanit Chansangavej, Jing Jing Yu, Kao Supassara Thanachart, Patricia Tanchanok Good, Ploi Horwang, Kat Sonya Singha, Thanaerng Kanyawee Songmuang, director Apichatpong Weerasethakul, singers Fang Dhanundhorn Neerasingh and Kaew Jarinya Sirimongkolsakul of Fang Fang Kaew, V Violette Wautier and Tong Twopee, and German–New Zealand artist Sandro Kopp. 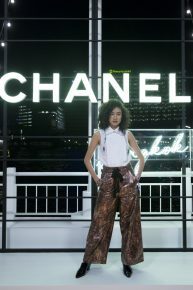 Models walked the catwalk on a set, dressed as the deck of a cruise ship, La Pausa. 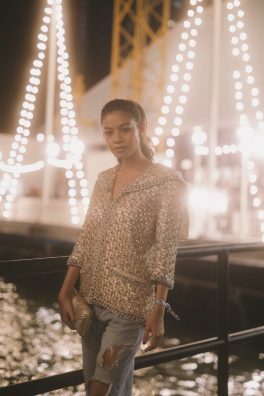 The collection has a nautical theme, with designs echoing sailors’ uniforms, complete with stripes, prints with nautical map devices, and double-breasted vests; light fabrics included cottons and silks. 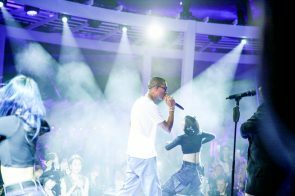 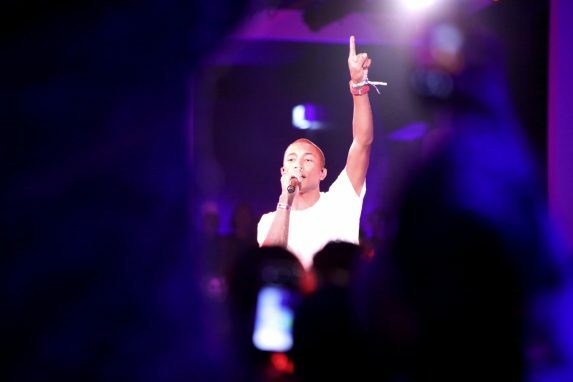 The post-show celebration saw local acts Thaitanium featuring Srei. 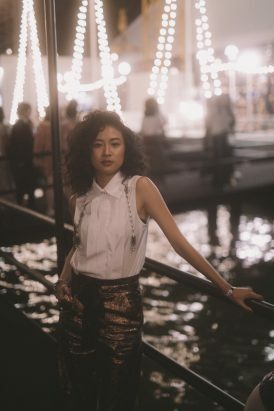 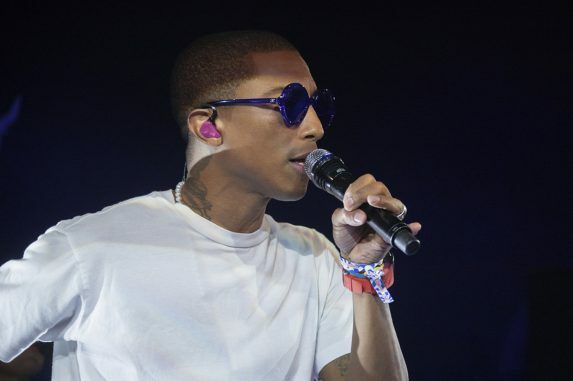 Park showed her talents as DJ, while Williams performed for the first time in Bangkok.